Jill is the founder of Inhabitots.com, the founder and publisher of Inhabitat.com and a green designer living in New York City. She created Inhabitots in the summer of 2008 in preparation for the arrival of her first baby. She is an avid idealist, design junkie and believes firmly that becoming a parent doesn’t have to mean sacrificing style or ideals. At least not too much. 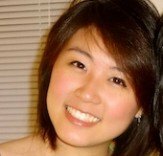 Yuka is a writer and reporter from Queens, New York. In addition to being the NYC editor of Inhabitat, Yuka is a practicing turophile and a known JeDIY master. Yuka’s refashioned clothing and DIY ideas have been featured on The Today Show, Glamour, HGTV.com and other websites and magazines. 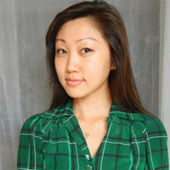 Yuka also writes for Ecouterre and has written for The Daily Green and The New York Times. 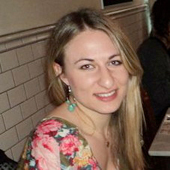 Laura is a LEED accredited business professional and Feng Shui consultant based in Brooklyn, New York. After receiving a Bachelor’s Degree in Psychology from Fordham University, her passion for ecological design led her to the study of the built environment and its profound effect on our physical and emotional well-being. Her sustainable roots began on a Hudson Valley farm, and since then she has contributed research and writing to various publications, including Clean Plates. In her spare time she enjoys meditative hiking, cooking and upcycling, with big dreams of someday running a bed and breakfast in the countryside. Lucy got hooked on the ideas of sustainable design ever since a life-changing summer in Portland, Ore. where she learned about “green” living and how to ride a bike. After graduating with a landscape architecture degree, she set off on a half-year trip across North America on mass transit to explore landscape architecture sites and cities, documenting parts of her journey at Landscape Voice. Through the trip, she cultivated a love for communications and has now decided to focus her skills on writing, advocating and engaging the public on green, transit-friendly initiatives. Lucy currently lives in Baltimore with dreams of moving out west. Charlie is an artist by passion and an economist by training. After graduating from McGill University, Montreal with a B.A. in economics, Charlie moved to San Francisco to obtain a MFA in writing from California College of the Arts. Her love for writing and study of environmental economics came together at the United Nations Secretariat of the Convention on Biological Diversity where she contributed to research on the economic valuation of biodiversity as a means for creating conservation incentive measures. She has spent her life so far divided equally between Bangkok, Paris, Montreal, and the United States.